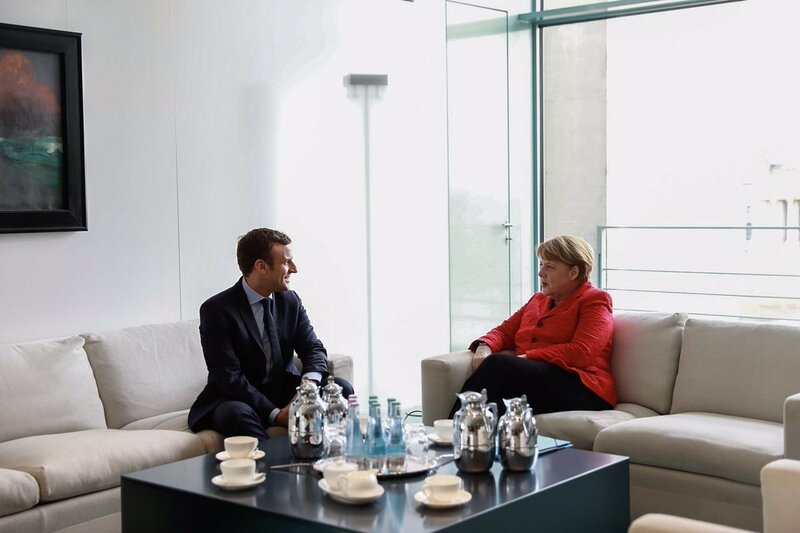 The meeting in the chancellery "was not a knighting" by Merkel (l), said Macron (r). In 2017, Berlin became a popular destination for French presidential candidates, with three of the main contenders – François Fillon, Emmanuel Macron and Benoît Hamon – received by Chancellor Angela Merkel. But whom would the Germans rather see become the next French president and what does this preference bode for the future of the Franco-German cooperation? Considering the extremist, Eurosceptic and scandal-ridden French presidential candidates, and their campaign promises with regard to the economy as well as European and foreign policy, Germans seem to lean towards Macron, even though his victory would not necessarily lead to an easy Franco-German cooperation. Due to their common affiliation to the European conservative family, Fillon’s visit could have denoted the German Chancellor’s endorsement of the candidate of the French right. 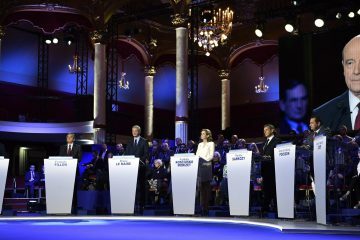 Fillon’s economic programme focuses on improving the state of the national economy through a radical reduction of public spending, labour market reforms, and tax cuts for companies. This reminds many Germans of their reform efforts at the beginning of the 2000s in the context of the Agenda 2010, which helped to boost the country’s economic situation. Fillon’s decision to amend the first version of his programme in order to better respect the 3% public deficit limit is also reassuring from the Berlin perspective. 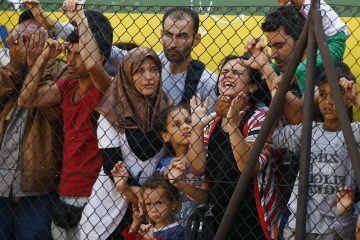 But Fillon’s tough criticism of Germany’s open-door refugee policy and his desire to reverse the EU’s sanctions policy vis-à-vis Russia are at odds with those of Merkel. His minimalist conception of Europe, with a preference for intergovernmental mechanisms, and protectionist views on trade policy are also not to the taste of a vast majority of Germans. More fundamentally, Fillon’s determination to continue to run for president while being investigated for fraud and conflict of interest about having offered ‘fake’ jobs to his family members and having delivered well-paid consulting services is barely understandable from a German point of view. 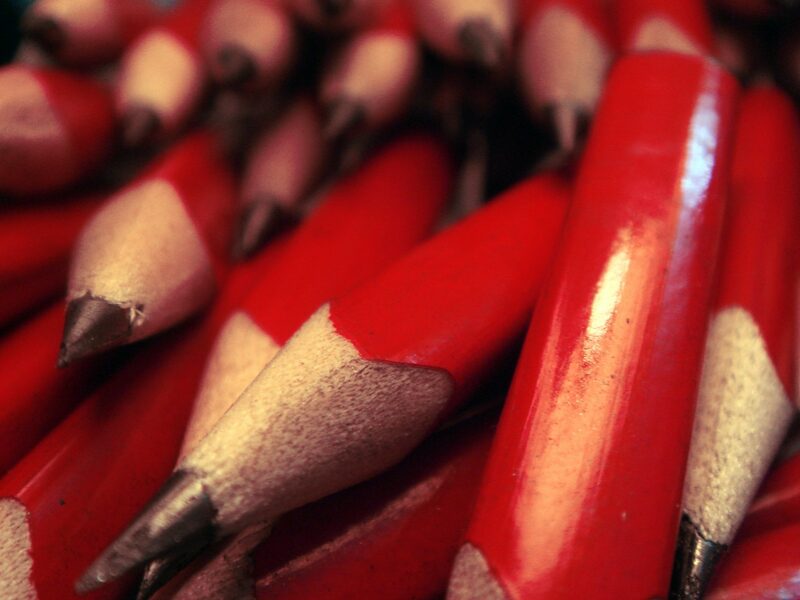 Prominent German politicians have resigned for less in the past. Fillon’s attacks against the press and the judiciary further create uneasiness on the other side of the Rhine. The German social democrats are also not at ease with Hamon being the socialist candidate as the result of his victory in the French Left primary. During his Berlin visit in March, Hamon received the official support of Martin Schulz, the German Social Democratic Party (SPD) candidate for chancellery. 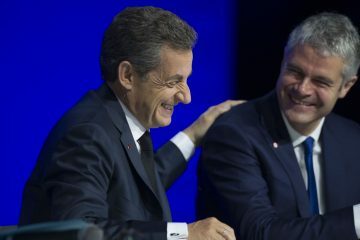 However, this contrasted with the tone set by Sigmar Gabriel, the current minister for foreign affairs and former SPD leader, who expressed hope that Macron would become France’s next president. While different preferences exist inside the SPD, its ideology is closer to Macron’s programme than to the one of the French socialist candidate. Hamon’s proposals for a universal basic income and reduced working hours provoke wariness in Berlin. Hamon’s long-standing criticism of the EU’s austerity policy, as well as his affixed wish to take some spending (like from defence or from refugee aid) out of the public deficit calculation, goes against Germany’s desire to see France sort out its public finances. This, combined with Hamon’s support to a partial debt mutualisation and anti-free trade stance, is not likely to find much sympathy in Germany, even among social democrats. As for Hamon’s flagship proposal to democratise the Eurozone through a new treaty; institutional reforms are not considered a priority in Germany at the moment. Thus, neither Fillon nor Hamon are appealing options for the two main German parties. German doubts about these two candidacies are further strengthened by their low polling scores: Hamon is now below 10% and Fillon is neck and neck in the third place with the far-left candidate, Jean-Luc Mélenchon. The popularity of the two French extremist candidates (Mélenchon is polling at 18-20% and Marine Le Pen at 22-24%) and their potential success in the presidential election creates political anxiety in Berlin. This was made clear by Merkel’s spokesperson who explained that the Chancellor had no intention to meet Le Pen because their policies have “nothing in common”. Mélenchon is seen in Berlin in pretty much the same light given his anti-German and anti-European positions. In addition to his constant criticism of Germany’s restrictive economic policy, Mélenchon wants to withdraw from the Stability and Growth Pact, fully renegotiate or escape EU Treaties, end the independence of the European Central Bank, and improve relations with Russia. Faced with this political situation, a majority of Germans are rooting for Macron. The 39-year-old candidate is considered as the best placed not only to defeat the French extremist currents but also as the most pro-European candidate and the most like-minded on EU affairs. Macron praised Merkel’s refugee policy, clearly stated he would respect the 3% deficit rule, and campaigned in favour of deeper European integration, even if these positions are not considered attractive to French voters. His strategy foresees structural reforms – which Germany has been expecting from France for many years now – to rebuild trust with Berlin. 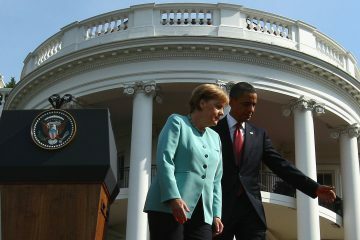 His agenda is well perceived in Germany even if his ability to implement it if he were to be elected remains uncertain. With Macron as president, France might be obliged to build a centrist coalition to govern the country. The Germans are familiar and supportive of this option. But from a French perspective this scenario is still difficult to imagine and could lead to political deadlock. Getting a majority in the National Assembly will be Macron’s first difficult challenge if he were elected. The French political system has been conceived to create clear majorities and could fall into crisis in case the newly-elected president will not secure the support necessary to implement his campaign promises. Should Macron find himself in this situation and manage to overcome this hurdle, all eyes will turn towards Germany, expecting Berlin to move towards its French partner. Macron wants France and Germany to concentrate their cooperation on investment plans and in the area of security and defence. A good score for the SPD in the upcoming German federal elections in September might favour more investments from the German side, but these are still likely to fall well below French expectations. And given the different viewpoints of Berlin and Paris, reaching compromises in security and defence matters will remain difficult – even if Germany has, over the last years, changed its security policy to become a more active military player. The Franco-German duo will have difficulties to deliver while the threat of an extremist candidate being elected as French president will linger. Macron’s victory could provide temporary relief for Germany but the social, political and moral crises affecting France will not just disappear after these elections. Germany’s future leadership would have to keep this in mind and adapt its behaviour, as well as tailor its ambitions, to France’s capacities. 1] Government’s press conference by Steffen Seibert, 20 January 2017, available at: https://www.bundesregierung.de/Content/DE/Mitschrift/Pressekonferenzen/2017/01/2017-01-20-regpk.html, last accessed on: 19/04/2017. Yann-Sven Rittelmeyer is a Policy Analyst in the European Politics and Institutions programme at the European Policy Centre (EPC). 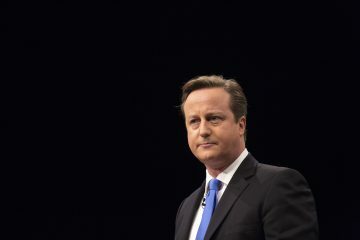 Six Points on Where Theresa May’s election announcement leaves the UK? 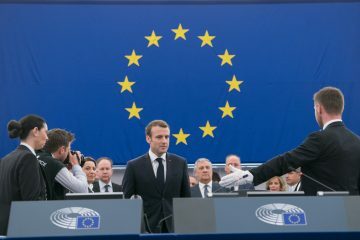 Can Macron still create a political cataclysm for the European election? How might the election of a centre-right French president affect Brexit negotiations?